The Pioneer 10 and 11 space probes were launched in 1972 and 1973 respectively with missions to survey Jupiter and the outer solar system. At the end of their successful missions, both probes had trajectories which left them on hyperbolic courses to exit the solar system forever. After their primary missions were completed, NASA continued to monitor the probes until they were no longer able to transmit signals. The last time Pioneer 11 was heard from was in November 1995, and Pioneer 10's signal has not been detected since January 2003. Close examination of data regarding the paths of the spacecraft has shown that there is a very small acceleration towards the sun that cannot be accounted for after every known force is taken into account. A large number of possible effects have generally been ruled out including fuel leakage, the solar wind, and navigational errors. A mission to specifically to study the effect has been proposed, but has not been approved. Scientists will be especially interested in the third flyby of Earth by the Rosetta mission which will occur on November 13, 2009. 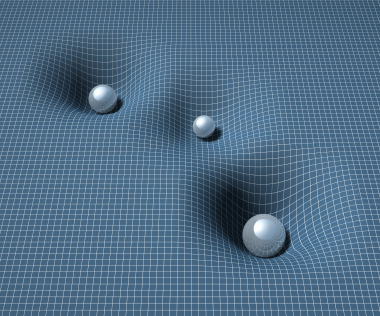 I’ve always felt that Einstein’s theories were not the “end-all” of physics, and quantum mechanics is starting to show some loose ends in relativity. All it does it show we don’t have the grail of Grand Unification Theory yet. Einstein was amazingly accurate though! Look at Newton – it took Einstein to show that under high-gravity situations, Newton’s laws start to break down. I feel something similar may be happening with Einstein’s theories. That’s OK by me – science would be very boring if we knew all the answers.